The EVO REV-600 Elliptical Trainer is built to withstand light institutional use and offers a natural elliptical motion, which helps to walk and jogg smoothly. It is designed in such a manner that it burns enough calories from legs, hips, chest, back and arms portions of your body. ToughTrain 3.0 out of 5 This light commercial elliptical can be a smart purchase at this price. 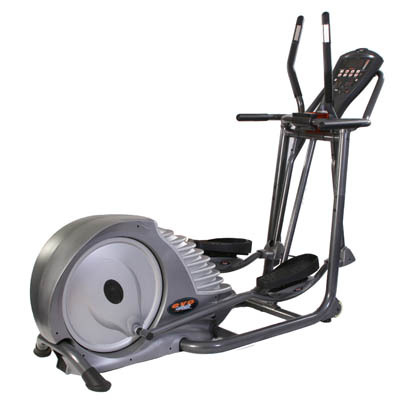 Ellipticalreviews.net 2.5 out of 5 REV-600 is an appealing machine for light commercial use or for a serious home trainer. Most customers are pleased with this purchase. *Note: Most of the sites, stores or shopping portals listed above sell EVO REV-600 Elliptical Trainer with discounts and other exciting offers. There is a possibility that the some of above websites are not selling EVO REV-600 Elliptical Trainer now. Toughtrain.com is not liable for such cases or instances. Also we do not recommend any seller for EVO REV-600 Elliptical Trainer and a buyer should buy from where he/she gets best deal with quality of products, service and on time delivery (shipment).